Welcome! The Haven is a unique outdoor museum where visitors can observe and learn about bees and the plants that support them. Open daily from dawn to dusk for self-guided tours, we are located on the UC Davis campus adjacent to the Harry H. Laidlaw, Jr. Honey Bee Research Facility on Bee Biology Road. Due to limited space, we require that groups of ten or more contact us in advance of their visit at [email protected] Guided tours of the garden with an entomologist are also available; please click here for more details. Tours last 45 to 60 minutes, depending on the size of the group. Tours led by docents not affiliated with the Haven are not permitted. – Different bee species make unique sounds. Please keep voices low to allow these differences to be heard. Radio or music playing is not permitted. – The garden has over 200 plant species. A complete list is available here. – Please do not remove anything from the garden. Insect collecting is not permitted. – As per University policy, all dogs must be on leash in the garden and owners must pick up after their dogs. – Campus lost and found is handled by the UC Davis Police Department. Report a lost item here. – We do not have bathrooms, drinking water, or trash service. Directions to the nearest campus bathrooms are here. – Shirts and shoes are required. Visitors should wear closed-toed, closed-heel shoes and avoid scented personal care products. There is no medical treatment at the garden. If you are allergic to bee stings, please bring appropriate equipment and medication such as an EpiPen and antihistamines. Click here for information about preventing and treating bee stings. 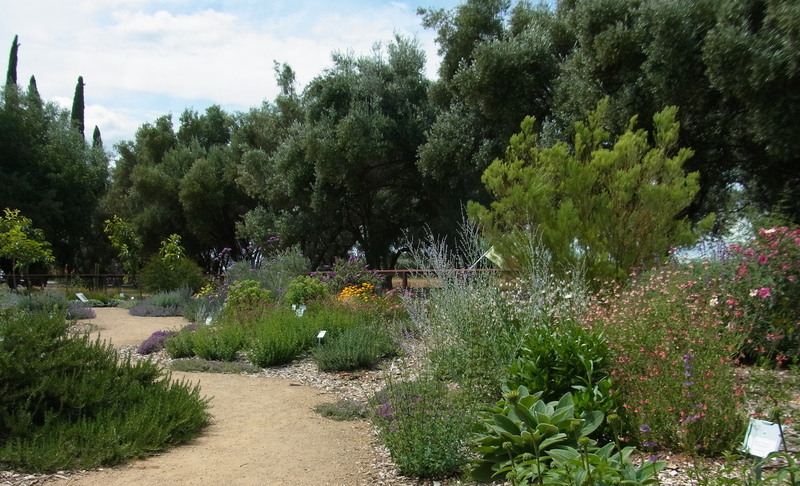 If your group is coming to UC Davis for the day to visit the Honey Bee Haven, there are several other places of interest to visit on our campus. Please note that hours, fees, and availability of tours are set by each museum and may be different than the Haven’s.